SEB Cable Laying & Cable Pulling Equipment enables the installation of LV-HV power, fibre optic, telecoms, subsea cables and umbilicals into cable duct or cable trench. T&D service utilities, power, construction, rail, mining, street lighting, subsea, offshore, oil, gas and petrochemical industries with global market leading SEB Cable Laying & Cable Pulling Equipment. T&D distribute the complete range of SEB Cable Pulling & Cable Laying Equipment for low and high voltage (LV-HV) power cable installations into underground trench or cable duct - including XLPE, PILC, EPR, waveform, service cables, triplex, 11kV, 33kV, EHV, fibre optic, telecoms and street lighting cables. 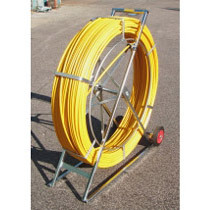 We supply cable rollers, cable socks, cable jacks, drum trailers, cable pulling lubricant, underground cable protection (Stokbord & Tape Tile Cable Covers) and conduit duct rod - we service the utility cable laying contractor, electrical contractor and export markets. 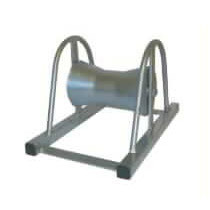 Conduit rods are often referred to as Duct Rodders. A comprehensive cable laying package includes cable rollers (straight and corner), cable drum jacks, cable winches and cable socks including stainless steel socks for pulling large diameter, high voltage subsea power cables and umbilicals up to 400kV.